Making the healthful change to a more plant based lifestyle is one of the greatest things you can do for your health and well-being, and is definitely something that has truly transformed my own life in the last 2+ years. But many plant based newbies often have a hard time getting enough protein into their diet, especially when inexperienced with plant protein sources, and this is where a supplement may come in handy. In this post have sourced and reviewed for you the best 15 plant based protein powders of 2019, and they will help you to obtaining your protein goals whether you are on a vegan diet, plant based diet, or still a meat eater. It is harder to get all the right amino acids on the plant based diet, especially if you are working out or training hard. I found this out the hard way, so now I always make sure to always have a protein powder back up which really is worth the investment. Everybody needs to get optimum amounts of protein, but the importance of this is especially true if you’re in any type of training or exercise regime. This is when your body will need a higher supply of good quality protein for muscle repair, the growth of maintenance of lean muscle tissue, and to help reduce muscle breakdown. You may also need a protein supplement if you are trying to lose excess body fat, are sick or in recovery from sickness, you skip meals, or are on any kind of restrictive diet which can include vegan and plant based diets. You may also be a meat eater who just prefers to use a plant based protein powder for training needs. This kind of protein often feels ‘cleaner’ than whey or dairy proteins, and can be easier to digest and causes less side effects. A good quality plant protein that contains 100% natural ingredients is much more alkaline than animal protein, which in turn will lead to less inflammation in the body. This is a good thing considering that many diseases and illnesses are now being linked to chronic inflammation, and eating more alkaline plant foods in general will help reduce this greatly. One thing I have learnt from my own experiences is that a plant based protein powder after training really lowers the inflammation caused by the wear and tear of hard exercise, which means I feel less aches and pains the next day. So this is another reason why I thoroughly recommend a plant based protein powder over a whey based; or at least to alternate with it if nothing else. Here is a list of the other awesome benefits I have noticed in the last 2+ years of living a plant based lifestyle, which will make you realise why I am never going back…ever! Your protein needs can vary greatly depending on these 3 things: your activity level, your current weight, and your weight goals. A guideline for most is is between 1-2 grams per kilo of body weight, but that is rather vague so I have broken it down more for you below. 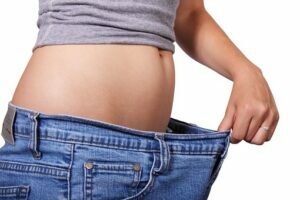 If you’re looking to lose excess weight, then not only will you want to be doing some form of regular physical exercise, but it will also help you greatly to up your intake of protein, and lower your refined carbohydrates (by which I mean refined sugars, flours, cakes, pastries, confectionery etc.). For weight loss you should be looking to get between 1.5 -2 grams of protein per kilo of body weight per day. This allows you to reduce fat and NOT precious muscle mass which is needed to help the body burn calories. For those following a plant based diet you may find this amount of protein harder to achieve, and is where protein powders can be of great help. They can count as a low carb snack AND a big boost of protein in one go. For more in depth information on this topic please check out my post Losing Weight with Protein Powder. If you’re doing a lot of strength training (or other resistance exercise), then you could also benefit greatly from a protein supplement to not only help sustain your workout, but to help you build lean muscle also. Again, the same rules apply – up to 2 grams per kg of body weight per day. You should take this ideally within an hour of training, along with some carbohydrates to replenish muscle glycogen: a ripe banana, or some dates added to a protein shake would be perfect for the job. If you have been sweating profusely, or exercising outdoors in hot weather, then you will need a lot MORE carbs than just a banana to replenish glycogen loss (around 200ml of concentrated fruit squash with water is good). To clarify, I only recommend high GI sugars like this for the purpose of replenishing muscle glycogen and not in any other situation, as ordinarily this amount of high GI refined sugars would be a health nightmare! There is no need to take more than around 30 grams of protein in one go (for the average person anyway), as any more than that may very well be a waste of money. Most people can only assimilate around 30 grams of protein in one sitting, so be sure to leave a couple of hours in between high protein meals and shakes for best results. Don’t automatically presume you need more protein just because you’re a seasoned muscle builder or exerciser as the opposite is usually true. In fact, for those who train regularly their body has become accustomed and very efficient at recycling protein, therefore they often need less than a novice body builder per kilo of their body weight. There are so many great new plant protein powders on the market these days, and it seems new ones are appearing all the time. This is a testimony to their growing popularity in not just the fitness industry, but in the plant based and vegan community too. Some plant proteins can be lower in some amino acids and higher in others, which is why (depending on your budget) you may need to either: choose one with a good amino acid profile, use a mix of a couple that have different properties, or buy a pre-made blend (you will find some of the best tasting blends on the market in the list below). Lactose intolerance is a very common problem, and means basically that your body doesn’t produce the enzyme lactase to break down the lactose in milk products and can cause bloating, gas, and all sorts of other stomach and digestion issues. This is not to be confused with a dairy allergy, which is a problem that affects the immune system, causing it to act like lactose is a foreign invader and producing symptoms such as rash, breathing problems, and even full on unconsciousness. The below list are also the best protein powders for those with lactose intolerance as they are ALL fully plant based with NO whey or other animal proteins added. If you are lactose intolerant you will understand the importance of keeping away from dairy in any form and you can be sure with these products that you are! Choose preferably organic so there is no contamination with pesticides, fertilisers, potentially dangerous chemicals, artificial flavours, additives, thickeners, stabilisers, or GMO’s. Make sure they are gluten free, especially if you have allergies. Watch out for milk ingredients. Fillers can be a problem with some brands, and are not only tricking you into thinking you have more of the product than you think, but are also very harmful to health. Choose ethical, cruelty free, and sustainable products from a trusted manufacturer. Below I have already sourced out the highest quality plant protein powders that fit ALL of the above criteria. The products on this list are of the highest quality available from my in-depth research into taste, ingredients, quality control, and real person reviews. If you appreciate good quality food like I do, then I know you will understand the benefits that such foods can have on your health and fitness. I always endeavor to bring people the highest quality products available, at the lowest prices I can find. I also guarantee you I will only promote products that I have thoroughly researched and believe 100% that they will make your life better. I never promote ANY products just to make a sale; but if you do decide to make a purchase through this website I will make a small commission at no extra cost to you. These small commissions allow me to carry on my work and research for this website to bring you the best products and information on plant based eating. Hemp protein is derived from the cannabis sativa plant, and offers a full amino acid profile. It is actually the most nutritionally complete known food source; not just due to its superior amino acids, but also the fact that it contains essential fatty acids as well. THE BEST PLANT BASED PROTEIN FOR WEIGHT LOSS – Due to its low calorie, high fiber content (only 120 calories per serving) this is a perfect low calorie, low fat, filling meal replacement or snack if you want to lose fat but also want keep and build muscle tone. It is actually vital on a weight loss program that you eat plenty of protein to be sure you are shedding fat and not that precious muscle. Best used AFTER a workout as it does contain coconut sugar to help put glycogen back into muscles. HIGH IN PROTEIN – Contains 10 grams of protein per serving. HIGH IN FIBER – Contains 12 grams of dietary fiber per serving – which is half your daily needs. FILLING – The high fiber content of this protein powder will help keep you full, stop you snacking, and therefore boost weight loss. NUTRIENT DENSE – Contains high amounts of magnesium, iron, and zinc. EASY ON THE TUMMY – Hemp is easily digestible so shouldn’t cause stomach problems. A COLON CLEANSER – Rich in soluble ans insoluble fiber which helps to cleanse toxins from the colon. HELPS REDUCE SUGAR CRAVINGS – The fiber content of hemp helps keep blood sugar stable, and stable blood sugar means less cravings for sugary snacks! AN IMMUNE BOOSTER – The plant proteins in hemp boost enzymatic function in the blood, and boost antibody formation. RAW – Raw foods are full of live enzymes that haven’t been damaged through heat treatment – the body just loves natural raw foods. This pea protein has a great amino acid profile and is pretty much a ‘complete protein’, although slightly low on methionine. This is not a problem if you already eat other animal products because you will be getting an adequate amount from these other sources. However, if you are vegan then you could make up for this by either alternating, or adding brown rice protein to your pea in a ratio of 3/4 pea to 1/4 brown rice. As brown rice protein is high in methionine this will be a perfect match. You may want to add other flavours when making your pea protein shake, as alone it can be bland. For example, adding a frozen banana, nut milk, and cacao powder will give it a much more palatable chocolate milkshake taste. CAN HELP WITH WEIGHT LOSS – by lowering levels of your hunger hormone ghrelin; meaning it can act as an appetite suppressor. If you want to shed fat and build muscle then this could be the protein powder for you. MAY BOOST HEART AND KIDNEY HEALTH – Pea protein can help to lower your blood pressure. HELPS WITH CIRCULATION AND BOOSTS MUSCLE GROWTH – Contains high levels of the amino acid l-arginine, which helps with blood circulation and supports your muscle growth process at the same time. L-arginine is also known for its ability to boost your sexual performance and libido. IS GREAT QUALITY FOR A LOW PRICE – Look at the bang you get for your buck with this product; 7lbs of organic protein will last you over 3 months at one portion per day. IS POTENT AND PURE – all ‘Amazing Nutrition’ products are made with 100% guaranteed potency and purity, so you always know you’re going to get great value for your hard earned money. IS FREE FROM ANYTHING BAD – Totally free from all artificial flavours, colours, preservatives, and fillers. Many less desirable and cheaper brands will fill there products with lots of rubbish. You can be sure you are getting exactly what you pay for with this product. PURE YELLOW PEA PROTEIN ISOLATE –Nothing else! This raw brown rice protein is of the highest quality available and is classed as a superfood due to its unique processing. It is processed under very low temperatures and uses the whole raw sprouted grain, which is the thing that gives it its impressive and ‘complete’ amino acid profile. Brown rice protein has been proven in studies to have the same effects on muscle building, muscle mass, recovery, strength, and body composition as animal derived whey protein. You get a large 1KG pot for your money which contains a whopping 47 servings. Brown rice protein is one of the closest you can get to a full amino acid profile from the plant world, therefore can be taken alone. VERY HIGH IN PROTEIN – Per serving this powder gives you a good dose of protein, coming in at a high 15 grams. PERFECT FOR WEIGHT LOSS PLANS – At such high protein per serve, and still only containing 80 calories, this powder is fantastic for a weight loss diet. It is rare to find such a low calorie, high protein product; so this one is the perfect mid afternoon sugar free, fat free, ‘pick me up’. HIGH IN LYSINE AND LEUCINE – These two essential amino acids are crucial in a vegan diet, and work together in the synthesis of protein. REDUCES FAT GAIN – Brown rice protein specifically, has been found to contain unique peptides that may help reduce fat gain, more so than soy or white rice protein. HYPOALLERGENIC – Brown rice is less likely to give you an allergic reaction than other proteins. TASTES GREAT – Sun Warrior protein powders taste good even on their own (I can vouch for this as I use their product a lot), but taste even better with a nut milk. This makes them easily transportable as you can just add plain water to the powder anytime, anywhere. SUSTAINABLE – Brown rice is more environmentally friendly than its white counterpart. NON GMO, VEGAN, ORGANIC, GLUTEN FREE. You’re going to love this awesome pumpkin protein powder as it comes already supercharged with its own high energy blend of enzymes! This one will not only help you to cut fat and build lean clean muscle, but will also give you that extra boost of energy needed to train harder and faster. It’s more expensive than some of the other plant proteins but you really are getting a supreme product for your extra cash. This pumpkin powder boasts super high levels of nutrients, namely the antioxidant vitamin E which plays a big role in anti aging of both body and mind. CONTAINS 3000MG OF PUMPKIN EFFA’S – essential fatty acid’s are needed by everybody, but even more so for exercisers as they burn so much off. HAS A HIGH IRON CONTENT – This powder’s iron content is ideal for those at risk of developing anemia. It is also vital for proper brain function, muscle function, the regulation of body temperature, AND it helps to carry oxygen around the body. All of these are great benefits for body builders or those on an intensive training program. HAS HIGH ZINC LEVELS – Essential for the production of hormones, the immunne system, and the metabolism of carbohydrates. IS HIGH IN MAGNESIUM – Especially crucial to stop your muscle aches and pains during and after exercise. PROMOTES RESTFUL SLEEP – Pumpkin contains tryptophan which will help you get a great nights sleep and is essential for muscle growth and repair. IS HIGHLY ALKALISING – Pumpkin’s natural chlorophyll detoxifies your system, thus reducing inflammation and leading to quicker recovery times after exercise and training. IS A SOURCE OF L-ARGININE – which is a libido booster, nuff said! HELPS WITH BLOOD SUGAR CONTROL – Ideal for diabetics and those wanting to cut stomach fat specifically. TASTES GOOD ALONE – meaning you can just add water or nut milk and it will be palatable. GLUTEN FREE, YEAST FREE, ALLERGEN FREE, NON GMO, USDA ORGANIC. Sunflower protein isolates are relatively new to the market; and it seems they are making a protein powder out of everything these days, but is it worthy? Well, it does bring some great benefits to the table, but not quite as many as it’s pumpkin counterpart. However, this is reflected in the price as it comes in at around a third cheaper. But, it does contain some impressive nutritional stats; for instance, it has the same added digestive enzymes as the pumpkin powder to give you that high energy boost (they are the same brand so I’m presuming this is their own unique formula). Higher digestibility means better amino acid absorption, which of course, is great in the physical performance stakes. HELPS TO LOWER CHOLESTEROL – Sunflower seeds contain phytosterols, which are plant compounds that can both lower bad cholesterol and also keep cholesterol levels steady. IS AN IMMUNE BOOSTER – Plant phytosterols strengthen your immune system to help keep sickness at bay. IS HIGH IN VITAMIN E – Vitamin E is a powerful antioxidant that will help fight free radical damage in your body, so great for those in hard training, as exercise in itself produces free radicals. HIGH FIBER – This one’s high fiber content will really fill you up; meaning less hunger that can lead to junk food snacking – so a great weight loss pick. GOOD FOR BAKING – Its slight fat content and texture will make it a better choice for baking, or even homemade raw protein balls. Note: Some reviewers commented that because of this products high fiber content this goes quite thick and gloopy. Great if you prefer a thicker milkshake effect, but if you prefer a thinner shake then go for a protein powder without a high fiber content. This delicious chocolate flavoured protein blend is pretty unique and contains the high antioxidant superfood goji berry. This works perfectly with pea and hemp for an amazingly raw, high enzyme blend of all the amino acids. It also offers so much more than just being a mere protein powder. This drink is healthful in other ways due to the fact that its ground raw coconut content will give you a boost of heart healthy medium chain triglycerides, which are great for helping to lower bad cholesterol and boosting good cholesterol. All this works in perfect harmony with the high antioxidant content of the goji berries. Antioxidants are not only heart healthy, but also help delay, and even reverse the aging process of the body on both the inside and out. SUGAR FREE – which is a major plus point, because it is vital to keep your blood sugar stable for the terms of health and weight loss. This one is sweetened only with natural steviol. CONTAINS ALL BCAA’S – This protein blend contains all of the branch chain amino acids needed for you to build lean muscle. IS HIGH IN ANTIOXIDANTS – Goji berries are one of the highest antioxidant foods. LIVE ENZYMES – This product is fully raw, which means all the natural enzymes of the individual ingredients will still be intact. AN IMMUNE BOOSTER – The antioxidant content of this powder has the added bonus of boosting your immune system for extra protection against disease and illness. A METABOLISM BOOSTER – again, the antioxidants and enzymes in this blend will help boost your metabolism and keep you in fat burning mode. FOCUS AND MENTAL CLARITY – Natural enzymes and antioxidants promote a sharp brain and help you to focus on the task in hand. SOY FREE, GLUTEN FREE, NON GMO, DAIRY FREE, VEGAN. This great value tub of high quality protein will last you well, and if you’re looking to be using protein in the long term, then buying larger quantities is more cost effective. Some reviewers have said this one is slightly chalky textured so you may prefer to blend it with other ingredients; a banana, or some other fruit would be perfect. But plenty of reviewers also stated that they like the taste of it on its own with just water, so you can make up your own mind about that one. This particular blend is based on brown rice protein which is one of the best proteins in terms of amino acids, plus it has the added benefits of pea, chia, quinoa, and amaranth protein. Mixing up different proteins is a good idea as they all have something unique to offer, and it’s preferable to taking just one type of protein alone. CONTAINS EFFA’S – This protein powder contains chia and quinoa, which both contain a good array of essential fatty acids. Quinoa in particular is already a ‘complete’ protein and is said to be one of the most nutritionally dense superfoods you can eat, especially on a vegan or plant based diet when you need to be sure you are getting all your macronutrients in the right ratios. IS SUGAR FREE – and contains only natural sweetness from steviol, making it low GI and great for keeping your blood sugar stable. Stable blood sugar helps you to burn belly fat specifically, so eating lots of low GI foods in general will all help towards this. CONTAINS FIBER – The fiber content in this powder makes it good for filling you up, which ultimately means weight loss. IS HIGH IN LYSINE AND LEUCINE – Both of these can be low on a vegan diet – so a great powder for vegans. HIGH IN IRON – Iron is vital for energy, so those suffering from, or at higher risk of anemia may find this one useful. CONTAINS VITAMIN C – This antioxidant is needed in high amounts, especially when in a training or exercise program. This Garden of Life product is literally CRAMMED full of amazing, healthful and life giving raw foods. So much more than a protein powder alone as it also offers added nutrients, and gut friendly, immune boosting probiotics. Not only does this protein powder offer a full amino acid spectrum, but also it’s a whole food in itself and has pretty much everything you need to live on. This would make it perfect for building lean muscle mass, and ideal for those in recovery after an operation or illness, or even for anybody who needs meal replacements for whatever other reason. What has really blown me away about this product is the amount of raw enzymes it contains which has been achieved by the natural sprouting process of the brown rice, amaranth, quinoa, buckwheat, millet, chia seeds, garbanzo bean, aduki beans, lentil, flax, sunflower seeds, pumpkin seeds, and sesame seeds. Absolutely awesome product in my opinion, and next on my list to try personally! Unfortunately, the price is a bit higher for those living outside of the US, but it’s still an amazing and great value product considering all the added extras you get with the vitamins and probiotics, so don’t let that put you off if you can afford to go for it. The general consensus about the taste of this product is an all round ‘good’, especially when served chilled. ADDED VITAMINS AND MINERALS – This powder is boosted with added nutrients of calcium, magnesium, selenium, manganese, magnesium, iron, molybdenum, and vitamins A,D,K and C. All of these are vital to every working part of the body; including immune function and energy production. ADDED CHLORELLA – Chlorella is a green algae superfood that is a powerful detoxifyer and helps eliminate heavy metals from the system. It is also proven to help reduce body fat, lower cholesterol, lower blood sugar, regulate hormones is good for circulation, is anti aging, and anti cancer. Wow, what a list! If you don’t buy a protein powder with added green superfoods then you should definitely consider buying a separate green superfood powder for its intense nutritional profile like I do. RAW ENZYMES – These help with absorption of nutrients into the body thus helping the whole digestion process to run smoothly. Raw foods are also much more nutritious as they have all their nutrients still intact due to them not being destroyed by heating processes. PROBIOTICS – This powder gives you 3 billion CFU of live bacteria lactobacillus and acidophilus. GLUTEN FREE, NON GMO, ORGANIC, VEGAN. Yet again, another very high quality product from Garden of Life. Yes it’s more expensive than some of the others, but as is often the case with food products, great quality costs, and you do get what you pay for. This nutrient dense powder will get you glowing due to its wonderful raw greens, and is an absolute treat for your body. Make a mental note of the fact that the Garden of Life products have come up time and time again among the best protein powder reviews, and it has been given it a 5 star rating. The taste, texture, and blendability of this product are good, and it also makes a highly nutritious meal replacement when whizzed up into a smoothie with a frozen banana and some nut milk – perfect. Yep, this one is just so much MORE than just another protein powder! It has a blend of plant proteins from many sources including pea, spinach, kale, broccoli, beetroot, carrot, and alfalfa grass juice. These have been sprouted for the added digestive benefits of those raw enzymes. CONTAINS RAW CACAO – This powder gets it rich and delicious flavour from raw cacao beans, which also happen to be very high in the antioxidants that to help neutralise free radical damage in the body. Cacao will also give you an energy boost both pre and post workout. IS A FAMILY SUPPLEMENT – This one tastes so good it would also be great for the kids, especially if you want to get more live greens, probiotics and enzymes into them. All disguised as a delicious chocolate milkshake of course. 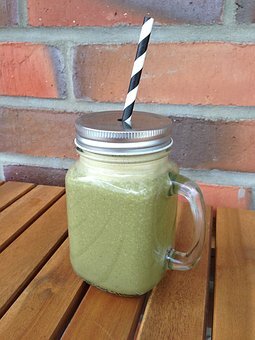 CONTAINS RAW ENZYMES – The raw sprouted greens in this protein shake will ensure maximum absorption of all its key nutrients. ADDED PROBIOTICS – Contains 1.5 billion CFU (colony forming units) of probiotics to aid digestion, boost health, and strengthen the immune system. IS NUTRIENT DENSE – Is especially high in the nutrients selenium, manganese, and vitamin K.
HAS A FULL SPECTRUM OF AMINO ACIDS – Raw Protein Greens has a great amino acid profile which is due to its proteins coming from so many different sources. SUGAR FREE – and sweetened only with stevia leaf. This one contains potato protein that has a high biological value (a term for how well an amino acid is absorbed in the body). Potato protein’s amino acids are in proportion to the body’s requirements, and has one of the closest profiles to whey or egg. This Dr. Mercola powder contains an array of other plant proteins too (this is a good thing as every source has its own unique composition and benefits, and is the reason why I prefer the blends so much); these include pea, chia, and hemp proteins, which all in themselves have well rounded amino acid profiles. I also found a lot of 5 star reviews stating that this was the best tasting vegan protein powder in terms of taste and texture. It’s smooth and fluffy with real vanilla pod flavouring, making and a treat to eat; so if your’e big on taste then this one is definitely for you! ADDED SUPERFOODS – Dr. Mercola protein also contains the superfood green algae chlorella, which is a powerful antioxidant and detoxifyer. You will always feel and see a glow to your skin, plus get a boost of energy, after eating green superfoods. MEDIUM CHAIN TRIGLYCERIDES – which are found in the chia and hemp protein. These are a healthful saturated fatty acids known for improving energy levels, cognitive function, hormone and mood balance, boosting weight loss by mobilising stored fat, and aiding digestion. LOW CALORIE – A great snack on a weight loss plan due to high protein, nutrient, and fiber content, all packed into a small amount of calories. NO SUGAR – Contains no sugar or sweeteners of any kind; but doesn’t need them as it tastes good without them and gets its sweetness from the lovely vanilla bean. This PlantFusion supplement derives its protein from pea, amaranth, quinoa and artichoke. I haven’t seen a blend with artichoke before, but as artichokes are super healthful and detoxifying then this is a great addition to their powder. The unique mix of these plant protein sources makes this powder a complete protein that has an amino acid density comparable to whey, but without the animal protein side effects. This complete protein source also has a little added fructose, making it perfect for muscle recovery after a hard workout when the muscles will need to be refueled with glycogen. This product is praised in reviews for how well it mixes with water or nut milk, and is not gritty, chalky, or pasty as some powders are. However, some have said this is quite sweet so it may not be for you if you don’t have a sweet tooth. KNOWN ORIGINS – PlantFusion manufacture their own products at their own ‘open book’ USDA organically certified facilities, so you really know where your ingredients come from with this one. Unfortunately, this specific product is not organic (which is reflected in the price) but many of their other products are. ENZYME BLEND – This company have their own enzyme blend that they use in their products to help with digestion and absorption. A fact that is verified in some of the reviews as being easily digestible and easy on the stomach. HIGH DIGESTIBILITY – Due to the added enzyme blend this powder is good for those who have delicate stomachs or find it hard to digest high amounts of protein. This powder is all about digestibility! MSM Performance consists of a blend of pea and brown rice protein, and is concentrated at a very low temperature to keep all those healthful live enzymes and goodness in. This protein combination, along with its added digestive enzymes, gives you the full spectrum of amino acids making it a perfect pick if you have the specific goal of building lean muscle tissue. It is however, also suitable for anybody needing to add more protein to their diet for various reasons such as recovery, weight gain, weight loss, or simply ensuring they get an adequate supply of protein whilst following a vegan or plant based diet. Reviewers of this protein powder found it to be easy on the digestive system, and it was said to cause much less gas and bloating than other powders, particularly the bloating associated with whey. So another great powder for those who have digestive issues; plus it tastes great too apparently. Unfortunately, again, this particular product is more expensive if bought in the UK, but is still a great deal even at the higher price considering it is such a large tub at over 1 KG. Just an even better deal for US purchasers. CLINICALLY PROVEN DIGESTIBILITY – Proven in clinical trials to digest and be absorbed into the system just as effectively as whey, but without the side effects of bloating and gas. HAS ALL THE BCAA’S – contains all of the branch chain amino acids you need to build muscle, plus aid muscle recovery after a workout. HIGH PROTEIN CONTENT – Contains a minimum of 80% protein by weight. GASTROINTESTINAL FRIENDLY – Due to its added digestive enzymes this protein powder is easily digested and easy on the stomach. TASTES GREAT – even with just water alone. 100% NATURAL, HYPO-ALLERGENIC, GLUTEN FREE. For those who like a milk chocolaty taste, this protein powder is big on that. Of course, this isn’t all it has to offer, but taste is a big concern for some people who may find other powders unpalatable. This one is made from a clinically effective, and highly bio available, amino acid blend of pea, rice, hemp, and quinoa. It is specifically designed for plant based and vegan athletes, and has an added 21 nutrients that boost some of the more common nutritional deficiencies that typically affect plant based exercisers. These added nutrients include vitamins A, C, D2, B-VITS, and the minerals calcium, iron, and zinc; they are also in high enough quantities to have proper benefits and to cover your nutritional needs. Although I could only find one review on Amazon about this product, I actually found many on their main website at Legion Athletics. There were lots of 5 star reviews about the taste, texture, and easy mixing of this protein supplement. SUGAR FREE – and sweetened only with stevia. ADDED DIGESTIVE ENZYMES – These allow for better absorption of the amino acids; which means better muscle building, and higher fat loss. EASY ON THE STOMACH – Digestive enzymes play a role in helping the body to break down food without bloating, cramps, and gas. Do I need an extra green superfood powder? 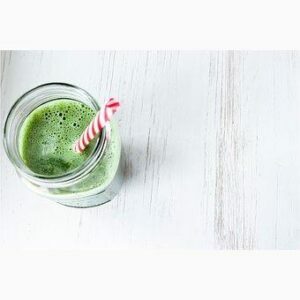 Green superfoods are pretty essential on a healthy eating and exercise plan, and even more so for people who are sick or in recovery from an operation. Some of the above protein powders do contain greens such as spirulina, chlorella, wheat grass, blue-green algae, and moringa as well – which is great; however, as they are primarily a protein powder you could obtain a much higher dose from a separate supplement. As with the protein powders, green superfood powders all offer different benefits and it is worth your while going through and looking more in-depth at the vast array of benefits to find which one best serves your needs. Green superfood makes such a difference to your life, health, skin energy, and vitality that I had to mention it at the end of this post; and it also perfectly compliments your protein powder and training plan. Find out more about the different types of greens available in this post ‘The best green superfoods‘. For more tips on eating a plant based diet whilst in an exercise or training plan, then please check out this YouTube video. Thanks for reading this article about plant based protein powder. I hope you have found something that suits you, and if you have any questions or comments I am always happy to lend a helping hand so go ahead and write me a message below and I will get back to you ASAP! This post is a very good and it shows perfectly what you can eat as a natural protein source. I don’t actually like the hemp protein, don’t ask me why, I never did. I love this post, I feel your passion in it, and this will encourage people to live a healthier lifestyle! Hi Emmanuel, yes I am very passionate about healthy living, hence the plant based website ha ha. Protein definitely features heavily in my life as I do a lot of training, plus I am vegan so I need to be doubly sure that my diet is on point. I agree that brown rice is a great protein and always has a good flavour and texture, it is one of my favorites also. However, I wouldn’t use it constantly and would alternate with something else that has omega 3 fatty acids. If you don’t like hemp then you could try pumpkin, quinoa, chia, or flax. There is just so much variety these days that even I was blown away by the new forms of isolated protein when researching for this post. You have a LOT of great choices for a plant based protein powder. I make smoothies everyday and I do use protein powder. I am really liking the ingredients and benefits of the pumpkin and sunflower protein powder. I am thinking I need both, and can just alternate. Thank you so much for sharing! Hey there, yes I think it’s vital to have a whole of array of different plant proteins for the simple fact that some are lacking in certain amino acids. You can combat this by alternating different sources. This is what I do and it works well. I think using both pumpkin and sunflower would be a good idea, and also easy on digestion as you won’t be having any grains, which can be an issue for some people. Thanks for reading, and I hope you get on well with them. You can always try others if you fancy a change, or different tastes and textures. I am really thankful for this article because I am semi-vegan and find that I always have to be vigilant in making sure I get enough protein especially since I am an athlete. I have bookedmarked this site and will be following it because I am interested in the diet or healthy eating niche. Yes I understand the need to be vigilant when eating plant based, especially when you are doing lots of physical exercise. I have been eating this way for about 18 months now and I can honestly say that it really does take a lot of time, effort, and education to be able to fully understand what your body needs. Another factor is that we are all different, some of us absorb nutrients and amino acids better than others, and a myriad of other different factors may be involved. My advice is to really listen to your body and take the time to find what works for you. As I do a lot of exercise I know that my body needs a high quality protein supplement. When I go without I start to lose muscle mass quickly so I have to be so careful. This didn’t happen so quickly when I was eating animal products but the benefits are still so much better. Wow great site! Loads of information! I’m a phys ed teacher, who loves working out and staying healthy so I’m loving all this info. keep it coming! Hi Michael, wow, thanks for the vote of confidence. 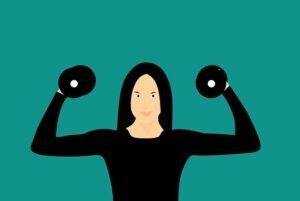 I’m really happy you have found this post useful, and it’s great you’re a physical education teacher as you’ll know the importance of good nutrition and exercise. And yes, I plant to write many more posts on this topic in the future, specifically in the plant based niche. Great article! I lift heavy and intense at the gym and do use whey protein. I am vegetarian by the way. I was scared to use plant based proteins, but now I realize that it can still build muscle and help you to lose weight. I will try one and then look to cut over fully to one!! Hi Ravi, yes you should definitely give the plant proteins a go and see how things work out for you. There seems to be a lot of myths out there that plant proteins aren’t complete and it’s harder to build muscle with them etc, but when you look at some of the vegan athletes and body builders out there than that myth gets completely blown out of the water as they look amazing. I would be really interested to see how you get on with your experiment with plant protein powder. It would probably be beneficial to you to try this as you probably already take in enough animal proteins from dairy as it is and so you wouldn’t have to worry about missing out on any amino acids. I would love to know how you get on. This is a great article Stefanie your information was superb and the Nutiva product sounds most interesting in today’s time. Using Hemp which is a natural product and has been around forever. It does a great amount of good for the body and I think may catch on to be of good use more as it is studied. Hi Fred, yes I use the hemp protein myself every day and find it is one of the best to use on a vegan or plant based diet due to its great amino acid profile. And I also love the fact that it contains omega 3’s which are especially good for exercisers. I think you may be right about hemp, research is just touching the tip of the iceberg when it comes to the capabilities of the hemp plant as it can be used as so much more than just food, and is easy and cheap to grow and cultivate. Exiting times! I loved your article and all the natural protein powders you are suggesting, I guess those are healthier than the one I am taking; since I am a gym freak I take ISO as a pure protein to increase my muscle mass, but I guess I may reconsider and check which one of the above can suit me. Hi Ronda, I am a bit of a gym freak too which is why I am so into protein powders. I don’t know much about the one you say you are taking but my advice when choosing a product is to always look out for anything artificial, such as flavourings, colours, preservatives, and of course excess sugar. There are lots of products like those on my list that don’t contain any of these unnecessary ingredients. Also, finding the right protein for you is very important as we all have different needs. I always think that if it’s something we are going to be putting into our bodies on a daily basis for the long term then it needs to be high quality. I especially love the fact that some of them have added greens and probiotics, which gives them an even better nutritional profile. Yep, there surely is some great products out there these days! Hi, that’s a great choice of protein powders. I like the idea of plant-based proteins but I prefer living plants if I can find any. Here we grow the drum-stick tree, you might have heard of that. It has huge powers too. The powders are a great alternative though when going somewhere or at work where it is much easier to mix a powder than prepare fresh food. Hi Stefan, yes I much prefer to eat plants too, but as a vegan who does lots of training and exercise I find it hard to get enough protein without animal products so these are ideal for me. I pretty much use them every day and have really noticed the difference. And they are just so convenient! No I have never heard of the drum-stick tree, but I love finding new foods that have amazing properties, I find it hugely exiting ha ha, but food is my thing I suppose so I would. Anyway, I’m guessing it’s something that the locals use a lot in Thailand that hasn’t quite made its way to the UK yet; most things do eventually. I will google it! I have been using Nutivia products for several years now. But, I actually haven’t ever used their plant based protein powder. I’m a big fan of USDA organic, though. The chemicals that they put in foods and supplements are really bad for you. I do have a question for you, though. How come hemp protein is considered to be a superior amino acid? I haven’t ever heard that before so I figured I would ask. Hi Garen, that’s great you use other nutvia products also, I love them too! Yes, many supplements have hidden chemicals which I really don’t understand as the reason you take a supplement in the first place is to improve your health so it’s crazy they add lots of rubbish. You just have to constantly read labels every time you guy anything to be sure your’e getting something pure. The reason hemp protein is considered a superior amino acid is because it contains all the essential amino acid,s which are the building blocks of protein, PLUS other nutrients such as omega 3 fatty acids which are vital too. It’s harder to get the full spectrum of essential amino acid’s from plant based protein than it is from animal (which is already complete), that’s why you have to be more picky with your vegan proteins. This is why a lot of them come in a blend that covers all bases. Other ‘complete’ ones are pumpkin, potato, and brown rice protein. Isn’t it just amazing how much we are finding out about hemp now, it seems to be good for everything! Hi there, I really like this content, I’ve personally never tried plant based protein powders, and never really considered them an option, however you have brought it to my attention. The benefits of them seem to be incredible and seem a lot better than whey which is what I used to use. I am definitely going to give some of these a try, will let you know how I get on! Hi Kevin, yes you should give the plant protein’s a go. I think you will notice the difference as they don’t lie so heavy on the digestive system like whey does, at least that was the effect it had on me anyway. Yes do let me know the effects you get from this, and if you have any questions just ask! I want to try out Sunflower Protein Powder plus Enzymes. I do intermittent fasting and I want to drink it first thing in the morning. Will this protein powder affect my muscles in an efficient way? Hi Furkan, yes all of these clean protein powders will help you to build muscle, and the enzymes help with digestibility. I always prefer to keep things a bit mixed up so you get lots of different amino acids which is why I like the blends so much. However, if you are not a vegan then you should be fine with just a sunflower protein on its own as you will be getting your other amino acids from animal products. I personally love to have a protein shake in the morning with half an avocado and NO carbs. This keeps the body in fat burning mode after your nights fast for a little bit longer and therefore keeps weight down. Wow, so many great protein powders to choose from! I do make a lot of smoothies and I do sometimes add a protein powder, when I have it in stock at my house. The thing that I don’t like, and I guess this is why I don’t add protein powder routinely, is the gritty taste it adds to the smoothie. Which of the protein powders you have listed is going to affect the flavor and texture of my smoothie the least? Hi there, yes it’s always good to add a scoop of protein powder to a smoothie as it makes it more substantial and filling. I know what you mean about the texture of some of them as I don’t like the grittiness either. This seems to be worse in the hemp protein I’ve noticed, but the pumpkin protein doesn’t have this and actually tastes good. The ‘Nature’s Own Pumpkin Powder’ that I have listed in the post is one I have personally used and it has a great smooth texture; so good for smoothies. Pumpkin is a pretty complete protein too with added omega 3’s. I’ll just cut to the chase. I have depression and lack energy. I know that exercise will help, but sometimes I get hit so hard I don’t feel like doing it. I can drink something, so what powder will be best for me. Hi Lane, I do understand how awful depression can be and it can literally drain you of all your power both physical and mental. I suffer from it myself, and in fact, depression has been the reason behind everything that I am doing now to try and help others. Great post! I’ve been pushing myself physically, not necessarily to bulk up, but the results are definitely happening. I’ve been adding protein bars to my diet to help supplement my eating, but there are so many different whey proteins out there, I”m rather balance with some plant-based options. But honestly, I have tried some plant-based that are horrible tasting. This list is exactly what I’m searching for. The one that I’m going to try is Nature’s Plus – Organic Pumpkin Seed High Protein Energy. I’m stoked to have an option. If I don’t like it, I know where to come to find another – your site. Keep up the great post. I know I’m getting healthier because of it. Hi there, yes you definitely shouldn’t just rely on whey as your source of protein as it causes inflammation in the body (too much does anyway) and being as whey is a concentrated form of this probably makes it worse. You should alternate with plant proteins, yes some of them taste bad but not the ones on this list as i have picked out the best of all of them, not only taste wise, but also for their amino acid profiles. It’s great you have picked one that you think you might like, and you picked well as the pumpkin protein is actually one of the best tasting in my opinion and the very one I have in my cupboard right now. It tastes even better blended with almond milk, cacao, and a frozen banana – just like a chocolate milkshake – yum! Also, it makes me smile for sure when people say I am making them healthier as that is the point of this whole website and I’m glad it’s working. Hi, Stefanie, I always used plant protein over whey because I felt it tasted better for one and for another, was lighter on my stomach. I also liked the fact that it provided so many more vitamins and minerals than whey. It never even crossed my mind that plant protein lowers inflammation. Just another reason for one to use plant protein. I can’t recall which kind is my favorite, but I’ve also tried the Vega brand which I liked a lot as well and use often. Hi Todd, yes I know what you mean, whey protein is just do heavy on the stomach and I always had a hard time with it myself back before I became fully plant based. So glad those days are gone now! And yes, it’s mind blowing stuff, realising how much more nutritious plant based protein is. Very refreshing review. You don’t just layout one protein, but you went on it do 15 different protein reviews. Lots to choose from. Most times when I train clients, the protein I suggest is the one with the most protein content while being low on carbs. It seems the proteins you laid out here meet the low-carb content. Most times it’s the whey protein that has a high carb content count, which I don’t suggest at all. But ultimately it is the clients choice. I have to say my favorite one is Natures Plus – Organic Paleo High Energy Plant Protein Powder. I love nuts and seeds, as they are usually what sustains me through any type of low-carb diet I’m doing. So nuts and seeds protein which is plant-based (I am a non-meat eater) is perfect for me. Hey there, that’s awesome you train people for a living! I’m presuming you’re a personal trainer or something similar then? It’s great you recommend plant based protein powders to your clients, as they are definitely the healthiest way to go in my experience, and interesting about whey being high in carbs. That’s something I never knew, but I guess that’s because I have never used it or recommended it either. …Yeah, there’s a slew of ones here I have never heard of. I have been particularly intrigued lately by pumpkin seed protein, which appears to be a thing now, but I haven’t come across anything compelling enough to purchase. I might have, now! Including a bunch of others. Thanks, great work on this one! Hi Jon, yes there is definitely something for everyone on this list huh? I hope you were just as much in awe as I was about just how many amazing and highly nutritious plant based protein powders are actually out there on the market right now. They are literally making a protein out of everything! And having this choice is great because I’m a great believer in mixing up your diet as much as possible to get an array of many different nutrients. This is certainly best for all round health. It is a lack or a fear of a lack of protein in my diet that has been my stumbling block to moving to a full on vegetarian diet. I never thought of “shaking things up” by using a protein powder. Hi Derek, I totally understand your fears as most people have them when it comes to giving up animal products. The fact is, you can more than easily get all the protein you need on a plant based or vegan diet when you know what you are doing and understand proper good combining. I think protein powders are a great choice for the fast paced world in which we live today, we don’t always have time to stop and get the daily protein we need. Legion Thrive sounds great and I love that it is sugar free, I have been seriously considering getting something for quick decision trips. Thank you for this great article. Hi Amanda, that’s the reason I love so many of these protein powders. They are just so versatile and can even be added to foods such as porridge, energy balls, and all types of baking. If you eat a plant based diet, as I do, then they are a must as it is quite hard to meet protein needs. I have found this to be the case even more than others probably due to the fact that I’m into doing lots of different types of exercise, especially weight training. But yes, great to take away on holidays or trips as most can be simply mixed with water and a fork, and don’t necessarily need to be mixed up in a processor. Hemp is one of the best plant based proteins as it contains the best amino acid profile plus omega 3 fatty acids, so a great all rounder! I’ve tried many over the years too and have come to prefer pumpkin and brown rice; both of which have great profiles as well, but I definitely prefer teh blends as you usually get added flavours and sweeteners so you can literally have them alone. Thanks for your comment.